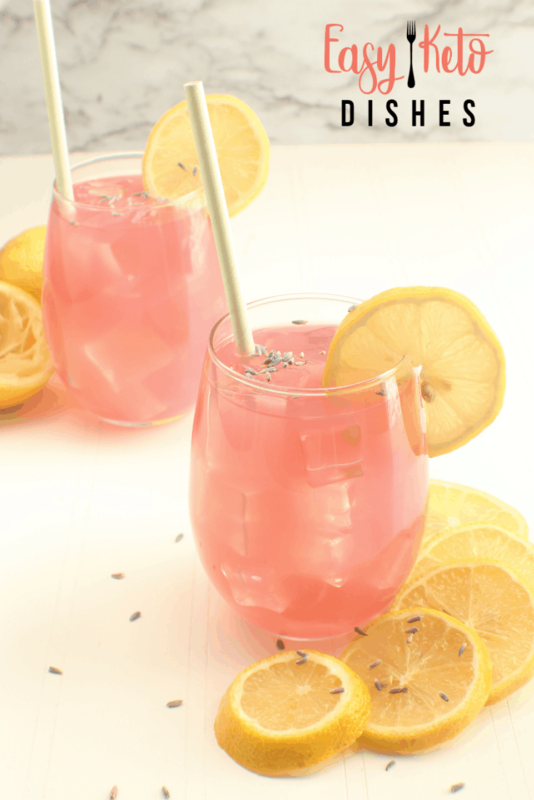 Enjoy this cool, refreshing lavender lemonade all year long! Light and delicate with a wonderful herbal finish! After a long day of busyness, you need to refresh. Sometimes water just won’t do it, either. You don’t want to reach for a sugary soda, and if you have to swallow more unsweetened ice tea, you may just start screaming. This is what I go through on a regular basis. The days when I want something light, refreshing, and just a touch of sweet. What to reach for? After all, beverages like soda and sports drinks are loaded with sugar. A 12 ounce can of the popular “Coke Classic” has 40.5 grams of sugar. For those of you keeping track here, a single can of Coke has more carbs that most of us eat in 2 days time. Drinking those carbs can make them go down easily, too. Way to easy for most of us. Great news, though! 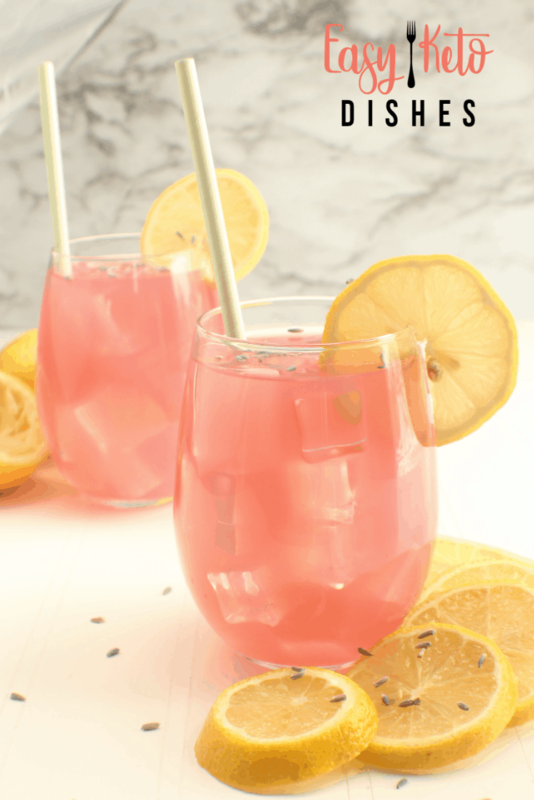 This refreshing lavender lemonade is sure to fit the bill for something light and sweet, without the carbs! 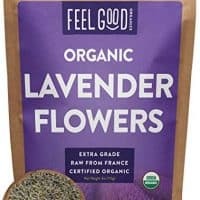 Lavender is a great herb to add to teas and lemonades. It gives a delightful herbal finish to it, and it is known for it’s relaxation properties. It also pairs wonderfully with the tangy tart of the lemon juice. It’s an excellent source of Vitamin C, as well as potassium, calcium, phosphorus and magnesium. May help fight against colds and flu, and aid in the body recovering. All that, in one delicious beverage? Sign me up! 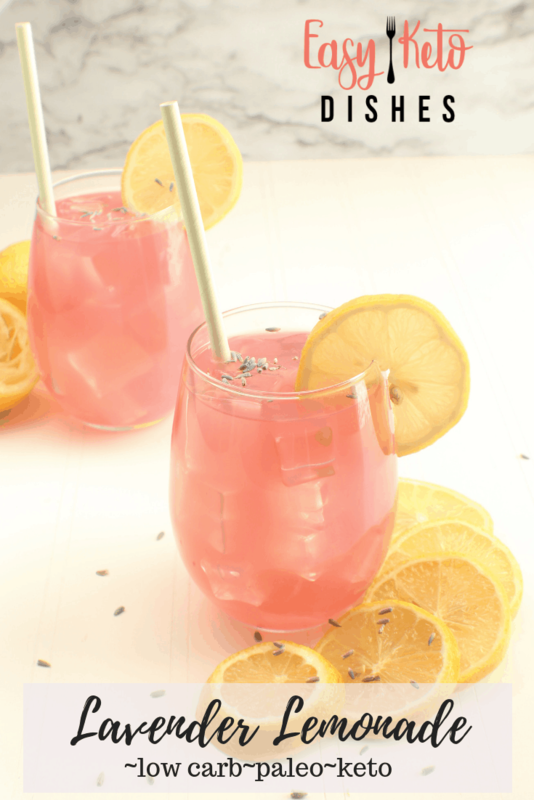 The best part is lavender lemonade can be made in larger batches, and sipped on whenever you need a refreshing lift. If you would like a sparkling lavender lemonade, simply replace the water with sparkling mineral water. It makes a wonderfully fizzy drink that can replace sodas for nearly anyone. In a medium pot, bring 2 quarts water to a boil. Add lavender flowers. Turn off heat and cover the pot. Allow to steep for 15 minutes, then strain the herbs and throw away. 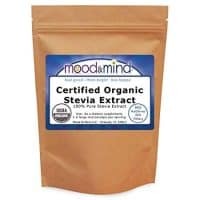 Add stevia to lavender infused water and stir to combine. Store in the fridge. 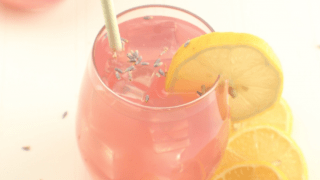 When you are ready for lavender lemonade, add 1 cup of the lavender syrup, 1 cup lemon juice and stir. Add 4 cups water, and stir. Pour over ice in glasses and enjoy! What is your favorite beverage to drink, besides plain water? 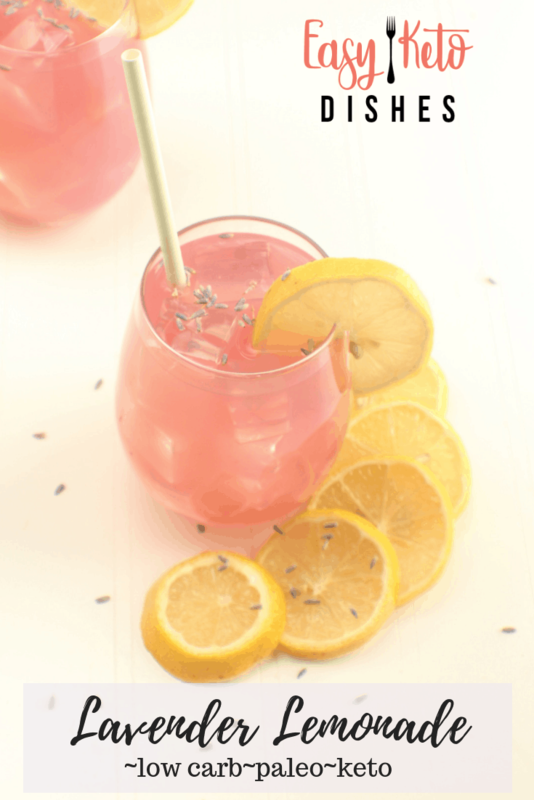 Will you try this lavender lemonade? Be sure to let me know if you try and love it! 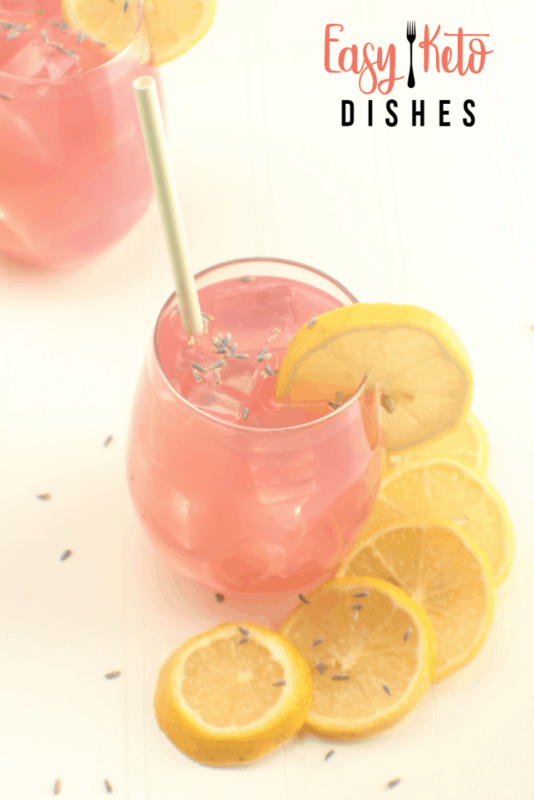 For a sparkling lavender lemonade, sub out the cold water for cold mineral water. This sounds delicious! I love lemonade and lavender, win/win! I love the lavender in this! What a delicious treat! How refreshing!! I haven’t had lemonade in forever, but the addition of lavender has me really intrigued. I’ve gotta try this.